Hello everyone! I have made it home safe and sound from Boston but I have tons to get caught up on here on the blog. I had a great time and will share some pictures of a get-together I had with some blog friends while I was in Boston. So stay tuned for that! 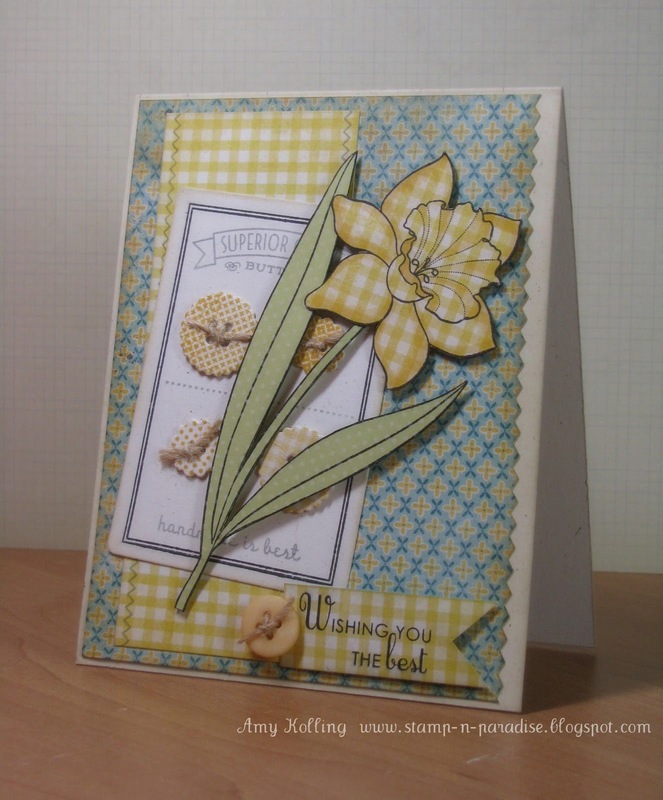 Here is my card to you Sue Ann! Sue Ann, I can't say enough about how sweet you truly are. I just hope that one day I will be able to meet you in person and give you a big hug! Happy happy birthday my sweet friend! I hope you have a wonderful day and drink a 'rita for me! I can't leave without saying that this gorgeous color combination came from CR84FN color challenge this week. I can't stop using them! Did you see Wee Memories challenge this week? I have been loving those too! 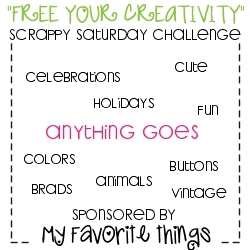 This week: Anything Goes! Thanks Jenny for another great challenge!! Hey everyone! We have been amongst Spring Break here and I have had NO mojo lately.......I mean none. I still have most of last month's PTI release and now this month's release still to put away but I did break out one of the newest sets that I just LOVE.....Sending You to use for the PTI blog hop! I have some fun things planned for the next two weeks and one is this weekend! I get the opportunity to travel for work and meet some of my blog friends in Boston......Suzanne from the Card Yard, Christina from Sea Glass and Sentiments, and Jessica from The Paper Parade! We are planning on meeting for dinner and I couldn't be more excited! See you tomorrow! I used one of my favorite.....did I say favorite? 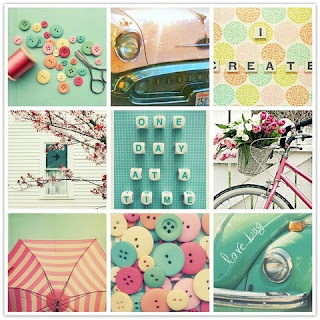 color combinations!!! 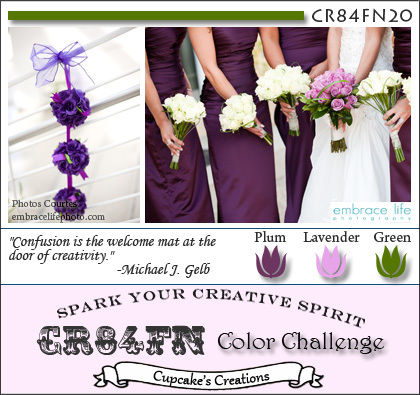 It just so happens to be the color palette for CR84FN this week! 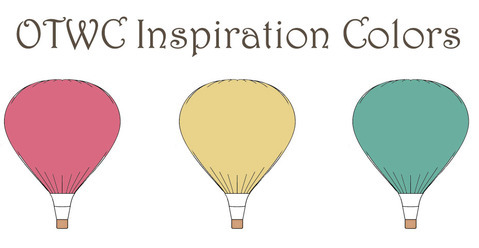 This month's blog hop theme was to use embroidery floss in a unique way. Here I used it and made french knots for the centers of my flowers and then did some stitching as a border! My friend Jen will laugh when she sees this card........we've been talking about this embossing folder this week and yes I have to admit that am a bit absent-minded. Jen, I bought this embossing folder set a few weeks ago and wondered why it was familiar when you showed it to me! I had already bought it! That's what I'm saying that I have had no mojo........I hadn't even remembered I'd bought it because it's piled with all my things to put away! Oh my. I sure hope this happens to someone else!! Here is the color palette from CR84FN this week. Enjoy the Blog Hop!! It's been 2 weeks since posting for Off The Wall Craftiness challenge. Did it seem strange to you? The bi-weekly challenges, I mean? I think it gives more people the opportunity to play along! Well, this week is sponsored by Wilson Designs and the DT got busy and used the latest stamp set in the WD lineup: Gnomebody Like You. Take a look at the inspiration photo below! 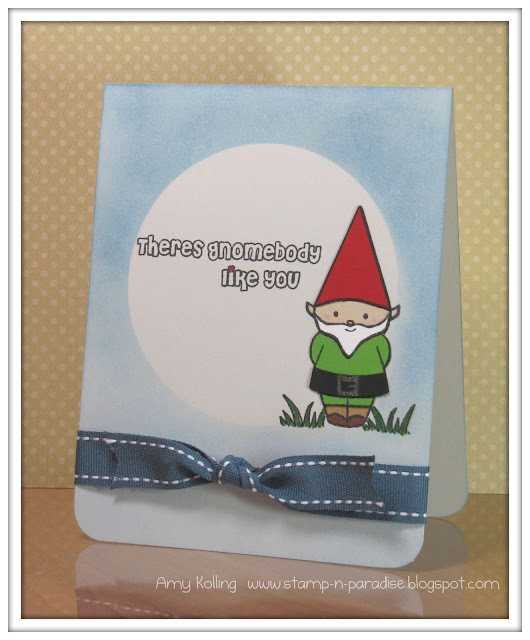 I decided to again use the gnomes for a CAS card. It is so fun to create little scenes with this set!!! 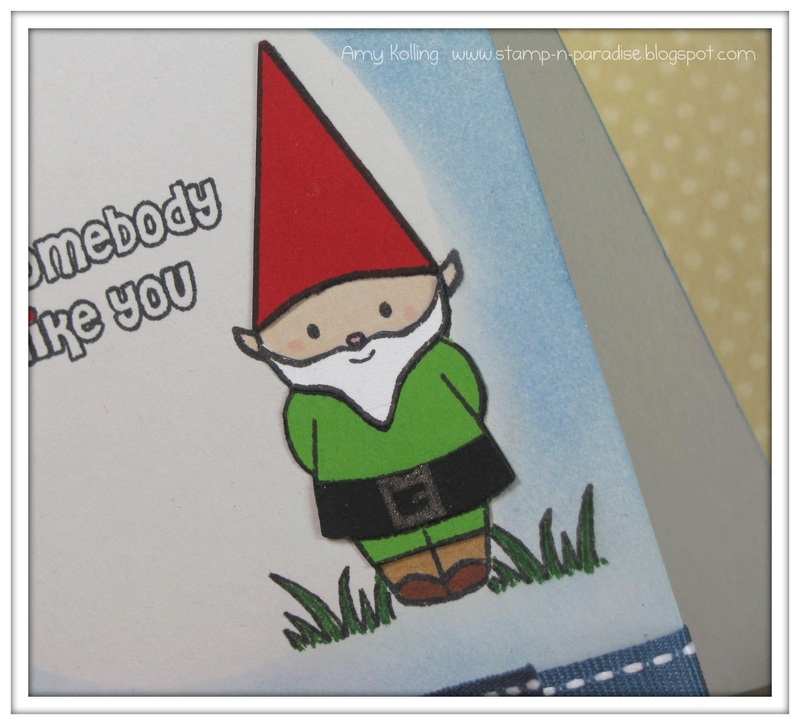 It is also so much fun to paper piece these little gnomes! Here I used some Green Tea Leaves DP from PTI. I thought the card was just missing something and I figured, "hey, I can draw some stems for flowers." Then I used the tiny little flower from the set to top them off. What do you think? That's it from me today.......please remember to check out the other DT blogs on my sidebar and leave them a comment or two! I know they sure appreciate it! Remember this challenge ends in 2 weeks over on Kim's blog..........Off The Wall Craftiness. Have a wonderful weekend and enjoy the warm weather if you are receiving some!!! Wee Memories this week. This daffodil image is one of my favorite stamp sets from the YOF series. I recently bought the Gertie papers from My Mind's Eye. I love these and had fun layering up some of their goodness here. So, I'm not enabling here or anything but have you checked out these papers yet?? You won't want to put them down. 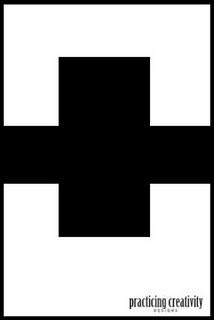 3) use at least 3 colors. This card fits perfectly for her challenge! Thanks Laurie for the great challenge! I've been meaning to play along with Courtney's sketch challenge all week and finally had a chance to today. 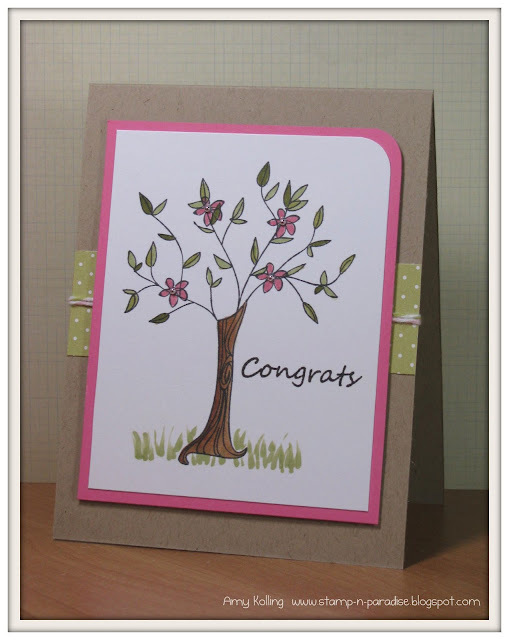 I used her Barefoot Summer set......this tree is fabulous! Remember when I stated that this new set would be fun, whimsical, and trendy? 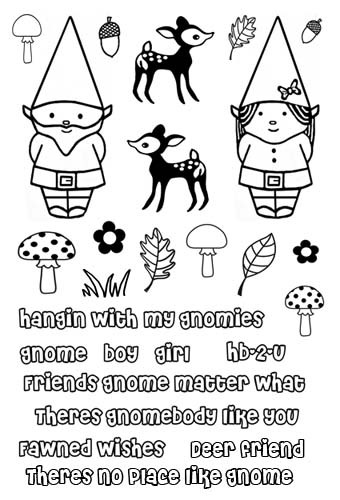 Just look at those Gnomes! I had fun using this set and I love the font! This little number uses paper-piecing and some fun sponging! That little grass stamp is just perfect for adding the right amount of "grounding" to an image. ***I totally forgot to mention that this card was made for the Paper Piecing Challenge in the Moxie Fab World. 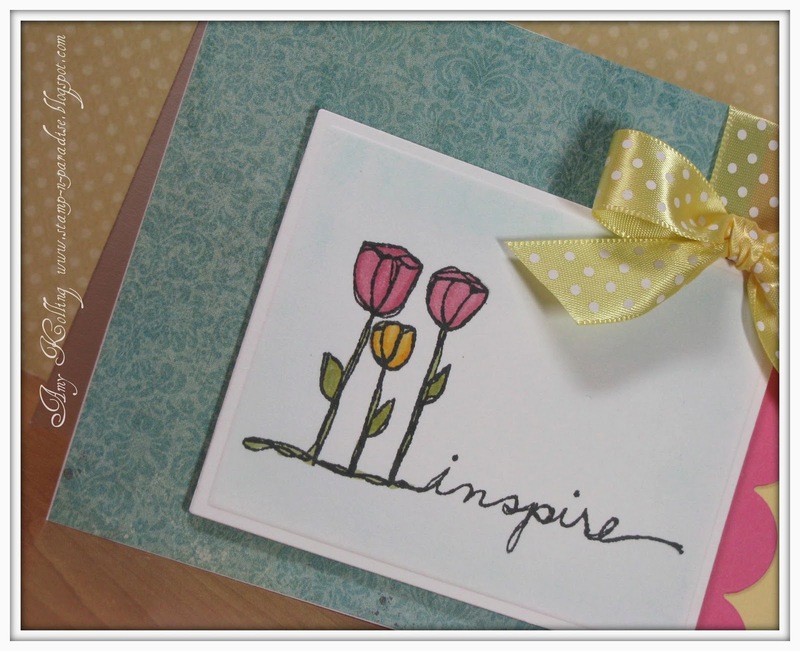 You still have time to get a card linked up! My next card uses the adorable polka dot mushrooms and a randomly stamped background using the 2 flower images from this set. 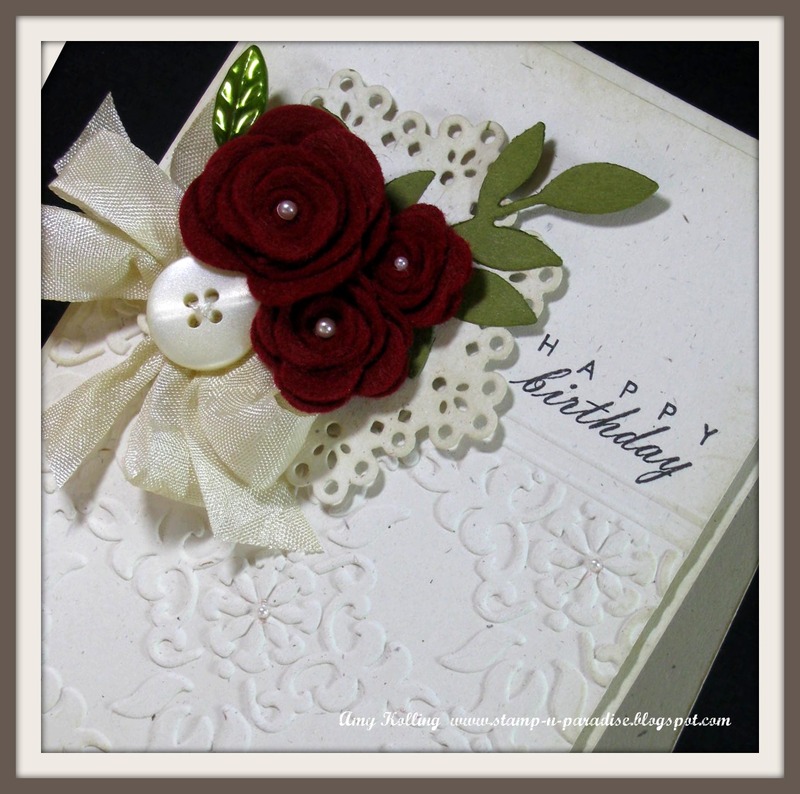 I really like this layout and if I have to say, this is a CASE of a card by Lisa Johnson but I added a few more layered buttons tucked here and there. I just love how those buttons look! That banner is the Double Ended Banner Die from PTI.......yes it's shorter. You just diecut a banner out and then place that banner back in the die and run it through your die cut machine at the length you want! I've tried to cut my own but why? when you can do this and it looks so clean and perfect. 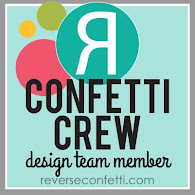 the Design Team.........Go check them out! 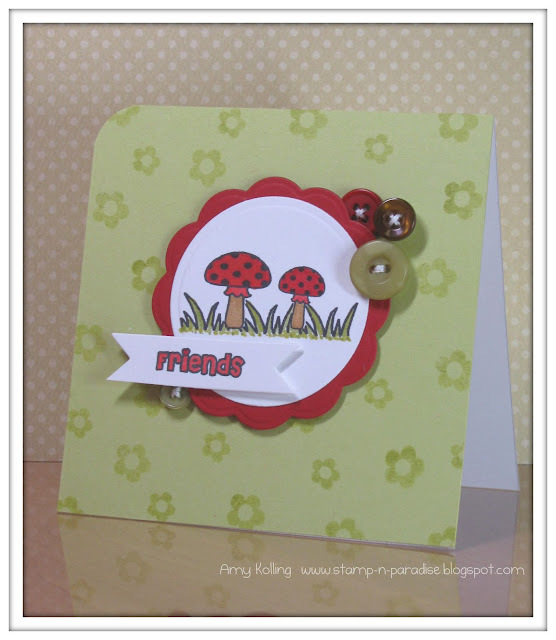 ***As it is still open, the challenge over at Wee Memories this week is Woodland Friends. I think I'll submit these there! Here are the details of the hop and if you want a little more information, make sure to hop over to our blog, Papertrey Paper Dolls. There are even prizes up for grabs so make sure to leave comments along the way as you won't know what blog the winning comment will be chosen from OR better yet, join in on our challenge! The challenge?.............Why, PTI of course! That's what brought all of us together right? 1. A PTI product that begins with "P"
2. A PTI product that begins with "T"
3. 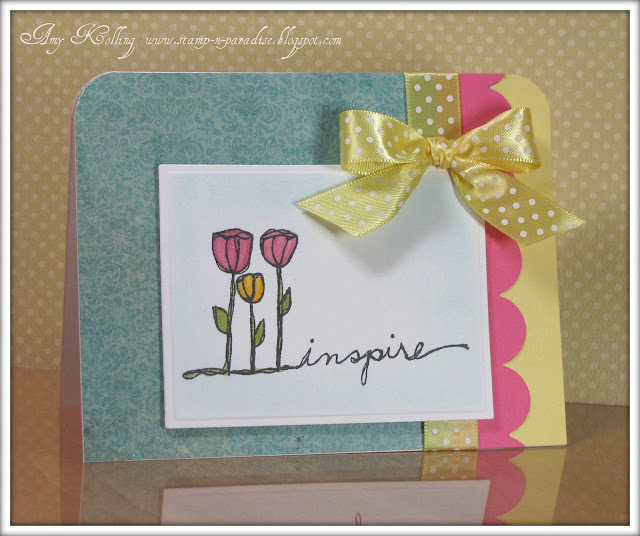 A PTI product that begins with "I"
I also used the Make it Monday challenge this week for my card: Distressing! 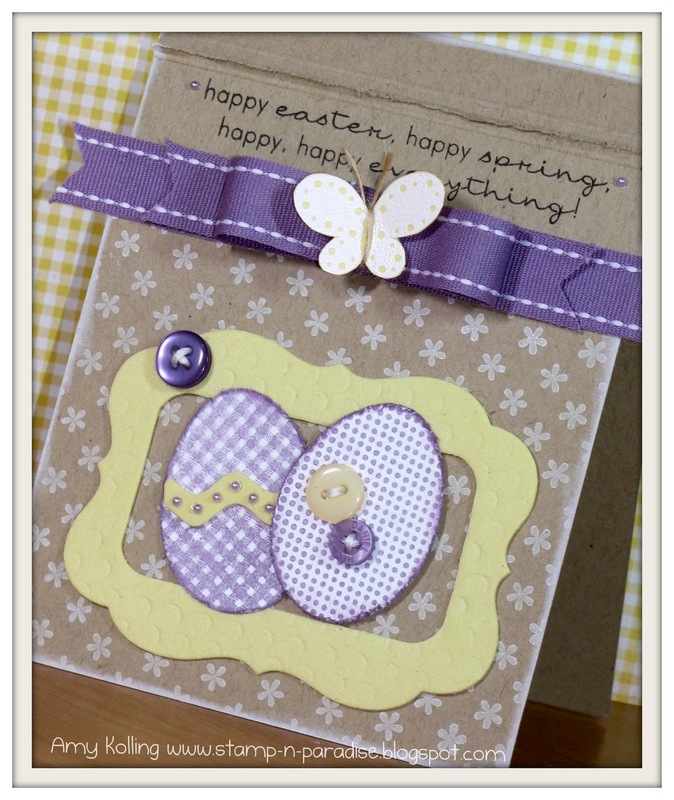 I used my Heidi Swapp tool and my fingernail to make this little fluffy ruffle at the top of the sentiment panel and around my eggs. I also did ink distressing around the perimeter of my card. Now the fun begins! 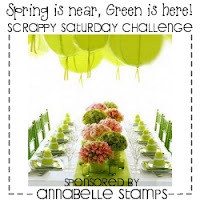 Hop on over to Suzanne's blog to continue on the hop but if you got lost, here is the list of participants! My first card uses the cutest little deer (of which there are 2 in this set) and a sentiment from the set. What's fun about Kim's sentiments in this set are that they are using an open alphabet font so you can just stamp them or go ahead and color them in! 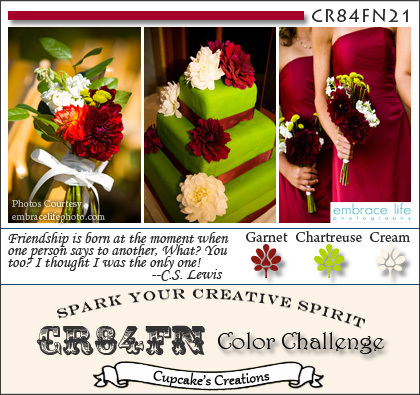 I decided to leave my sentiment open and just add touches of red to the hearts. I think it made some neat pattern paper! 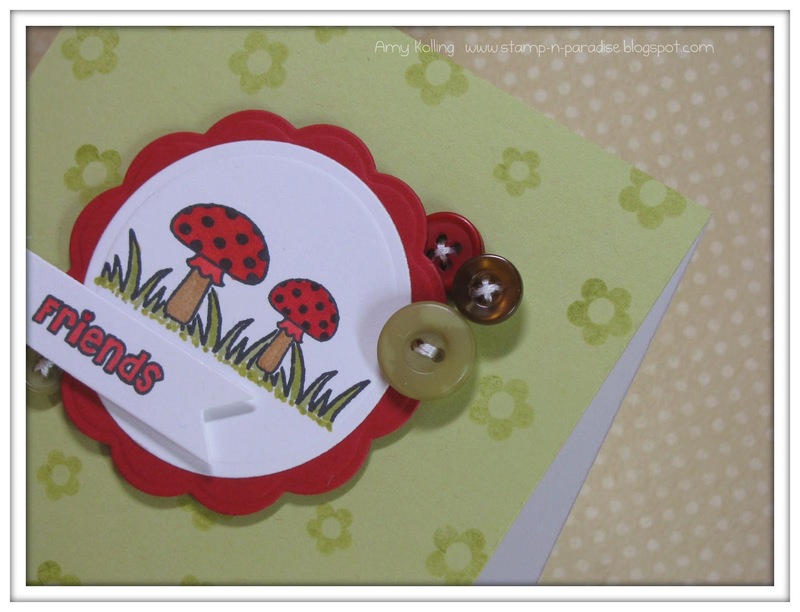 Just so happens that the challenge for this week over at Wee Memories is "Woodland Friends" so this will be linked up over there! 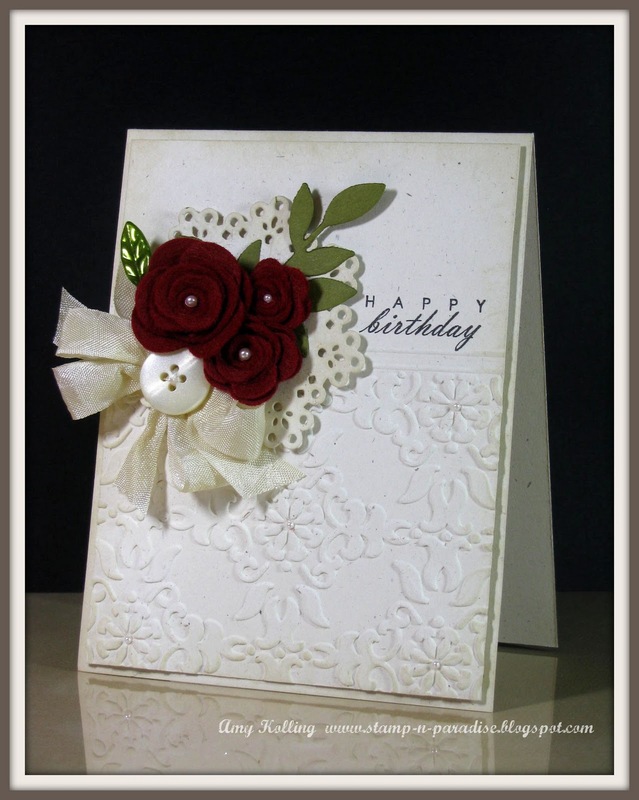 My next card uses some flowers from the set paired with several other Wilson Designs stamps from various sets. Isn't there something to be said about the color combo grey and pink? Um....yeah....I love it! 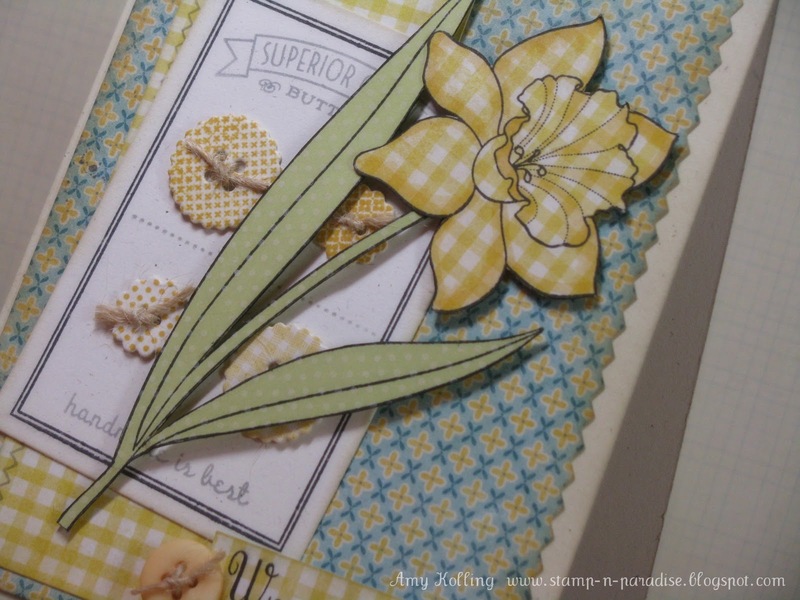 I wanted to show that you can "mix-it-up" using several stamp sets. You get so much more use out of your stamps if you use them this way! I stamped the larger flower in each scallop using Charcoal ink and added a pearl center....I really like how it dressed up that scallop strip! 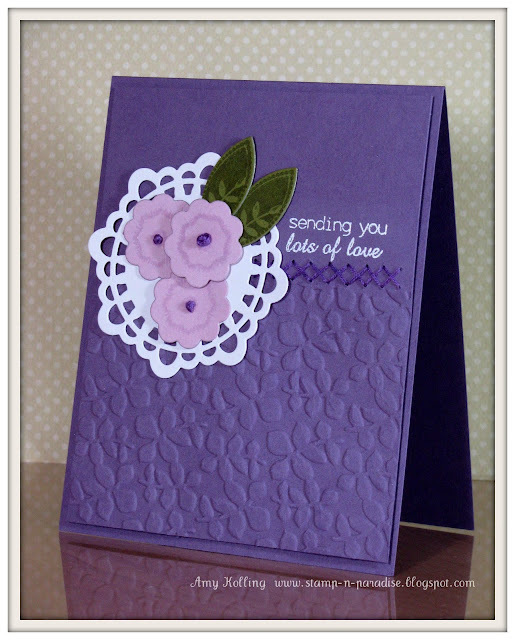 Then for my little cluster of flowers, these were simply stamped, cut out, and arranged cluster style. What a fun Thank You card! Well everyone, please remember to leave a comment for your chance at winning this cute stamp set and do come back tomorrow for the full reveal of the set and more samples using a main image from the set! 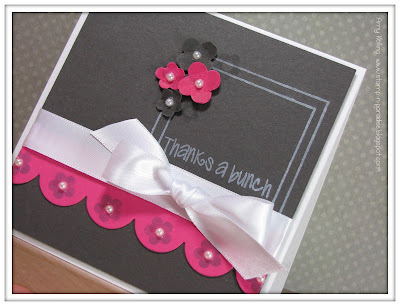 Now, go visit the other DT blogs to see their samples! Hi everyone! 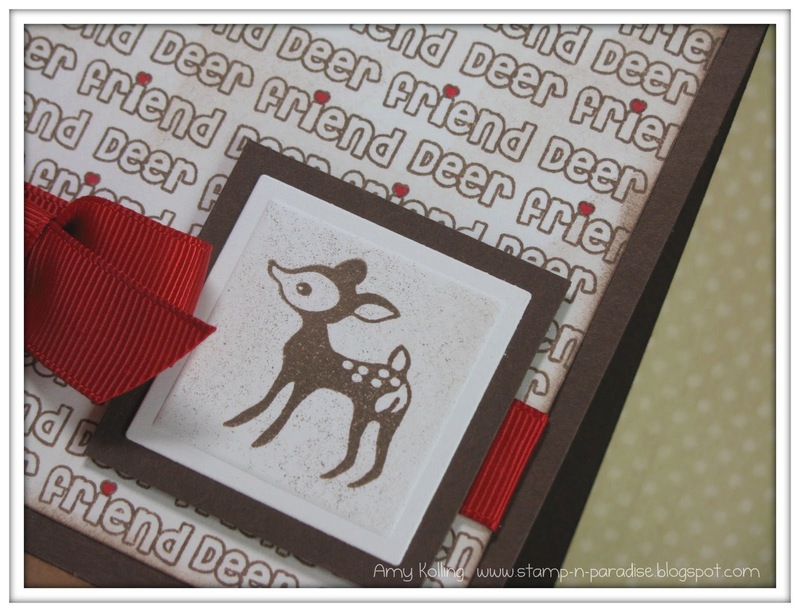 I'm here today with a sneak peek at Wilson Designs newest stamp set that you will begin to see samples of here on my blog starting tomorrow! 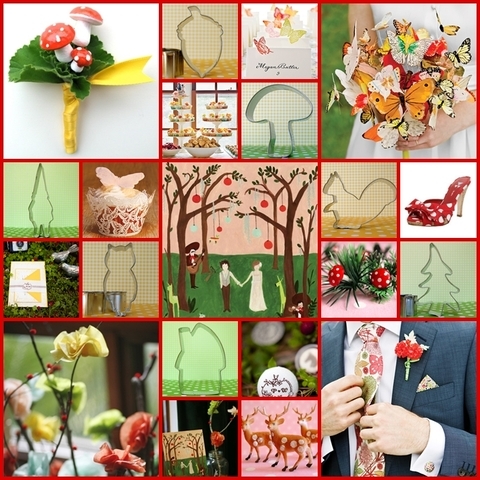 If you like whimsical and fun, this set will be for you! Remember to leave comments throughout this release on all the DT blog posts (including the sneak peeks) for a chance to win this new set from Wilson Designs! 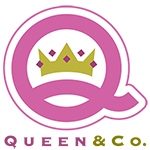 You never know who's blog the winning comment will be from! 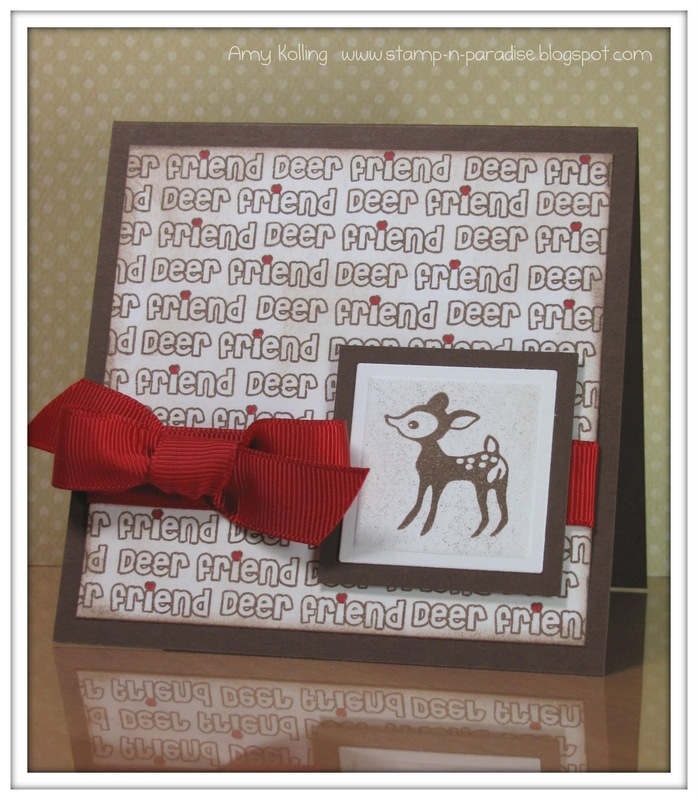 For this week's Off The Wall Craftiness challenge, we have an awesome sponsor: Donna Downy stamps by Unity. 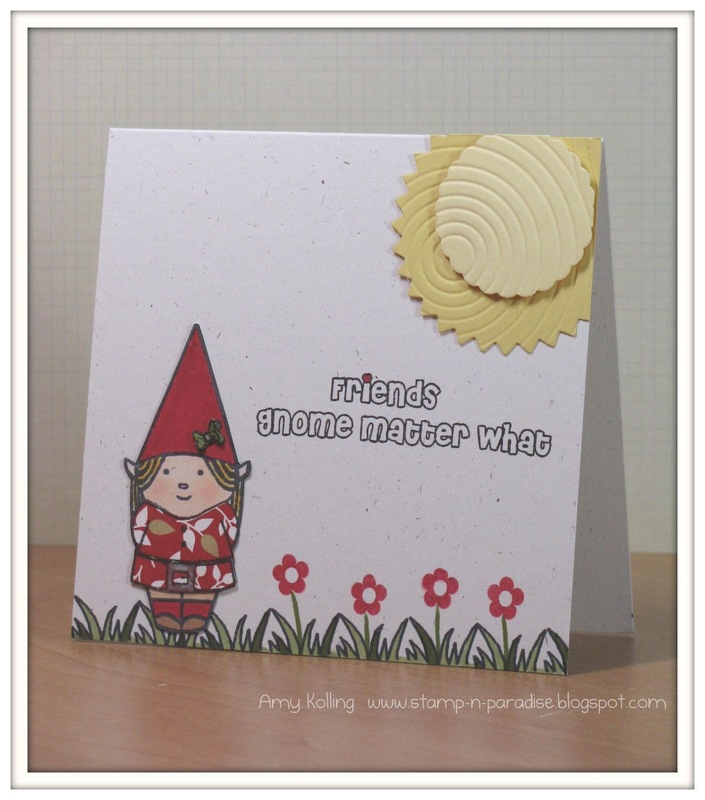 These are deeply etched red rubber stamps that stamp so beautifully! 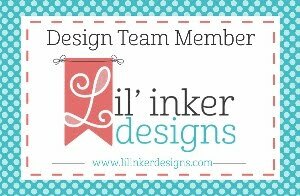 The DT was sent a stamp set to design with and mine was called Little Whispers. However, first I need to show you the inspiration photo for this week. Just a little housekeeping business......this is the last weekly OTWC challenge. They will now be every 2 weeks starting with today's challenge. 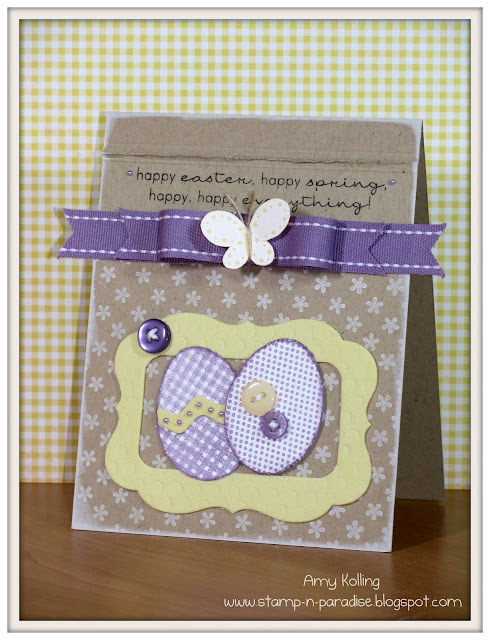 Another thing, use those Wilson Designs stamps for your projects to get an extra chance at a sweet prize up for grabs!